Instrument microphone stands out as the only side-address, supercardioid condenser microphone designed for professional sound reinforcement. A flat frequency response is usually desired for applications where the sound source has to be reproduced without changing or “coloring” the original sound. All audible frequencies (20 Hz – 20 kHz) have the same output level. Instrument microphone stands out as the only side-address, supercardioid condenser microphone designed for professional sound reinforcement. It features a switchable low-frequency filter and a 3-layer internal pop filter to reduce background noise. The Beta 27 is unique in the industry as the only side-address, supercardioid condenser mic designed for professional sound reinforcement. What is the Beta 27 best suited to? The Beta 27 is ideal for a wide variety of acoustic, wind and electric instruments, such as guitar and bass amplifiers, drum, percussion and piano. The tight supercardioid polar pattern ensures high gain-before-feedback and provides maximum isolation from other sound sources making it perfect for live stage applications. The Beta 27 is tailored for superior transient response from a low-mass, externally-biased ultra-thin Mylar diaphragm. It has a flat, neutral frequency response for natural reproduction. What is the difference between the Beta 27 and SM27? The Beta 27 is a supercardioid whereas the SM27 is a cardioid. 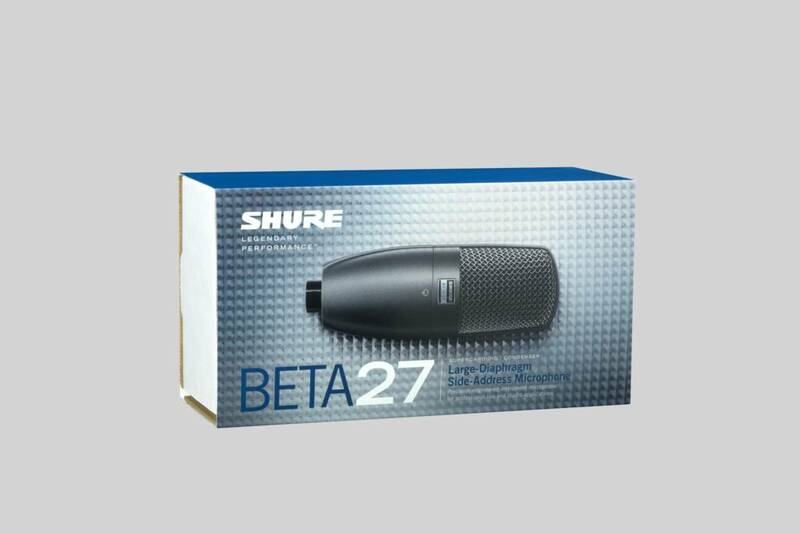 You can expect a more concise sound pickup and a full bodied sound signature with the Beta 27.